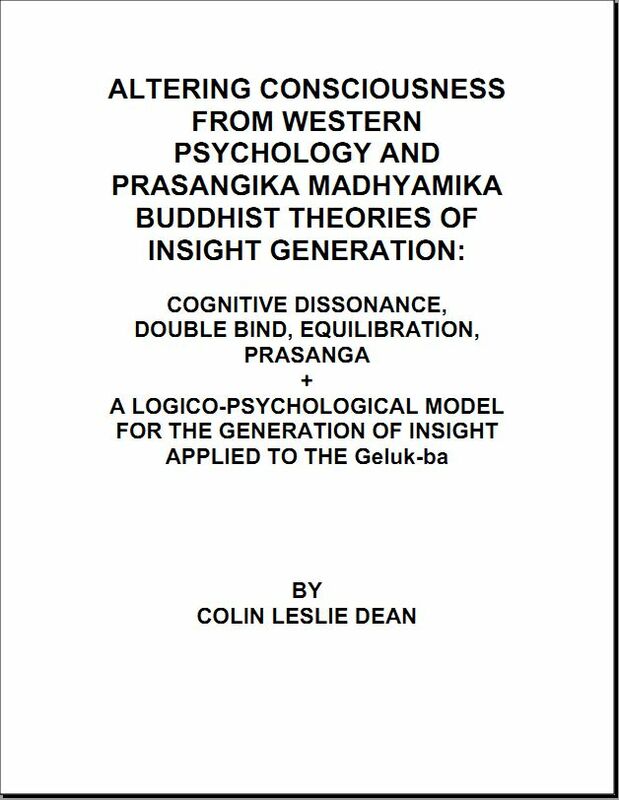 This thesis therefore critically investigates the relationship between analysis and insight in the Prasangika Madhayamika. To be more specific, it tries to ascertain whether analysis is a only a necessary condition for the generation of insight, or a necessary and/or sufficient condition for the generation of insight. As was said above, this question was not asked by the Madhyamika, nor has it been asked by Western scholars; with the exception of Fenner. To answer this question, a logico-psychological model will be developed in chapter two which describes the mechanics and dynamics of insight generation.